A look at the life cycle of a dandelion including wind-aided seed dispersal. Once fertilisation has taken place the plant will produce seeds. Plants such as dandelions often use wind to transport seeds. Each dandelion seed comes with its own individual parachute. This device works very well and only a slight wind will carry seeds high into the sky. As there are so many adult plants in one place there is no space for the next generation of plants to grow. 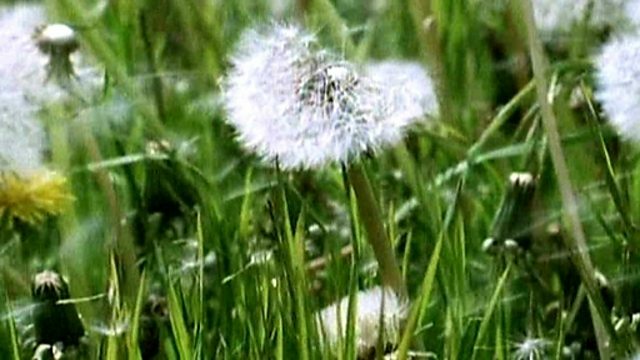 The dandelion therefore needs the wind to carry the seeds far away. New plants are formed and the whole process starts again.